Kids will enjoy these holiday place mat coloring printables - they're ready to print out and color in to make all sorts of seasonal and holiday crafts. 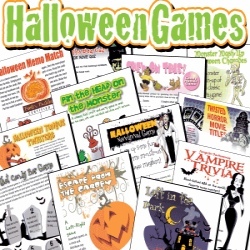 Print placemat sheets and decorate with markers or crayons or colored pencils, then laminate for protection. This collection of coloring place mats includes free designs for birthday girl/birthday boy, Halloween, Thanksgiving or Christmas holidays. 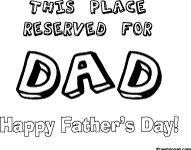 Many of the place mat pictures match our free printable stickers and coloring pages. 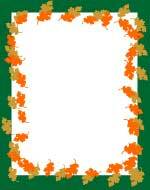 All holiday craft place mats are ready to print - you'll need Adobe Acrobat Reader to view and print. You can edit the PDF files to add your own words instead of writing by hand if you have Adobe Acrobat Pro or a graphics editor that can work with PDF files. 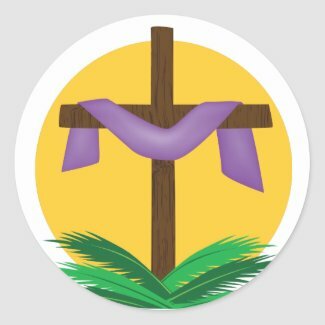 Printables on this site are free for non-commercial use ... please don't alter or sell our designs. You might also like our printable mini cards and place cards. Our printable Border Papers can be used to make placemats. Simply turn them on their side to make a quick and easy place mat. Here at right are several of our printable page border designs that can also be used on the table. Some are in full color; others are black and white. Create a placemat, seat sign or table card for any guest, any occasion. 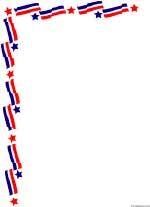 Fill in the name and add decorations and a border for holiday birthdays or other celebrations. Craft a special placemat for your mother or step mom. Design and color in a placemat for the father of the house. 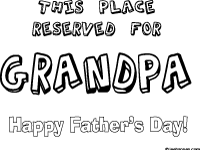 Make a personal placemat or seat sign for Grandma or Grandpa. Love angel Cupid chasing hearts all over this printable Valentine activity sheet place mat. 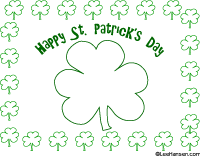 Green outline shamrocks and Happy St. Patrick's Day lettering. Color it in, use it as a place mat or poster. 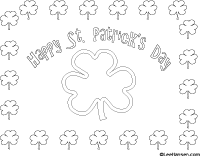 Similar to our St. Patrick's Day poster (at left) but in black and white to use as a craft template or coloring activity sheet - make a poster, placemat or sign. Pretty Spring tulip with two peep chicks and a lovely border of Easter eggs - printable coloring placemat or poster or mandala of the symbols of spring. 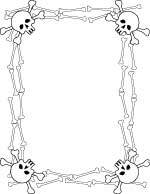 Print this fun Halloween place mat coloring sheet and let the kids decorate it with markers, then laminate the page to make it washable. 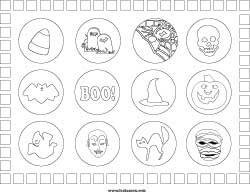 You can also use this Halloween printable to make cupcake flags, badges, ornaments, stickers or a match game for preschoolers. 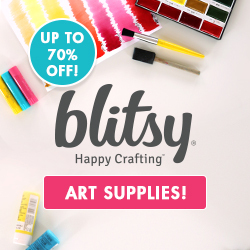 A funny turkey and Happy Thanksgiving bubble letters are ready for you to decorate with harvest colors. 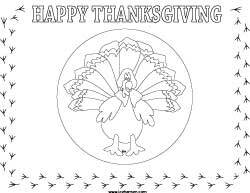 Use this printable coloring activity template to create a poster or placemat for Thanksgiving. 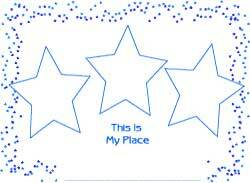 This is My Place star place mat printable coloring activity sheet is ready to color in; place mat features blue stars border and 3 star frames to decorate or paste a picture in plus a dotted line for child to write their name. 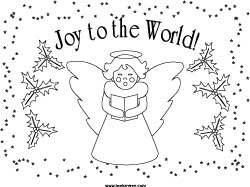 Printable poster or coloring place mats feature Christmas designs: angel, Santa Claus, Christmas tree. 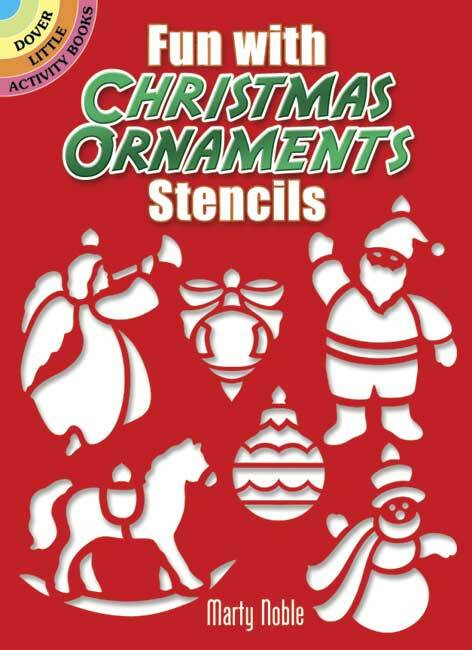 Make a holiday place mat, giant greeting card, sign or Christmas poster with these printable placemat coloring craft activity sheets. Design your own miniature pencil flags, cupcake flags, table numbers or party favors with these blank mini flag templates. Each sheet contains 3 different designs.